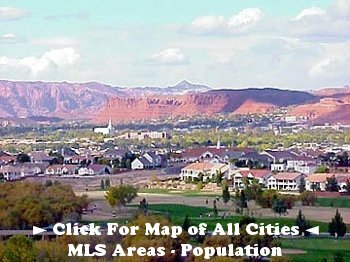 View properties and get to know communities and values for Zion National Park real estate, being one of the Washington County Regional MLS search areas- for all your Saint George Ut real estate needs. 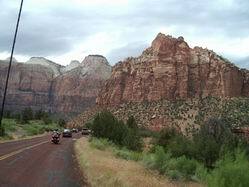 Zion Park area encompasses Zion Park from the county line on the west clear over to include Virgin on the East. You can use the cities listed below to match the right area OR go [back] to the Area Map to also orient yourself. 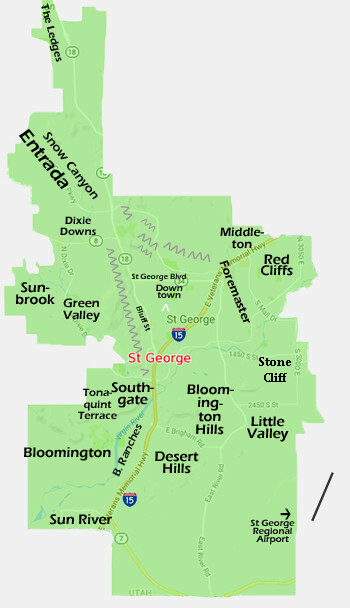 For a link to a zoomable & scrollable map of this area. 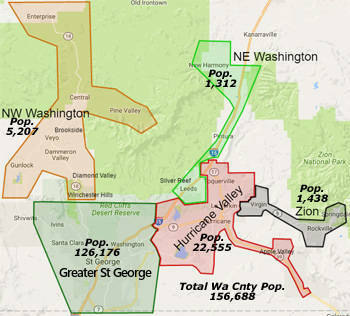 This scrollable map includes the Zion area, but does not typify just the Zion area; it overlaps into the Hurricane Valley area and other areas as well. 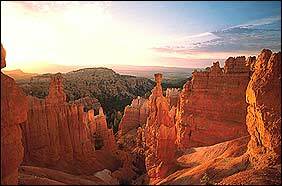 Zions National Park has been home to many different groups of people, including the Native Americans that would hunt in the valleys to the pioneers growing crops in the canyons waterways. This gave the pioneers an adequate growing season and the many different breeds of animals that are in the valley and its surrounding areas. You can assume that if some of the below listed cities do not show up on your map, it is because they are too tiny for the map companies to list them, but they are there in the general area. 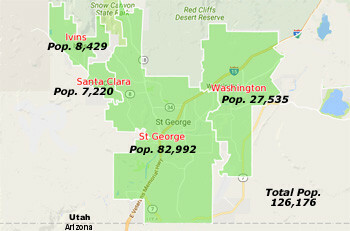 The more prominent towns that have information on them are in color below. Area Map- Washington county Area Map for learning regional MLS Property Search Areas. Also, a list of all prominent cities in Washington county. 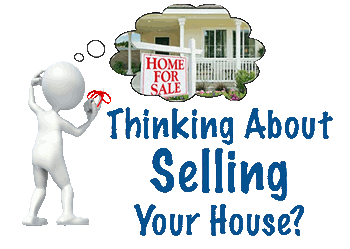 Property Search- Go perform a self-configure property search now.